Everybody is FREAKING out about these new Red Velvet Oreos that are about to hit the shelves. People are like wetting their pants, acting like this is some huge revelation in the modern world. Let’s just pump the brakes for a second. If anyone actually thinks these are going to overtake the originals as king pin, I pity those people. You gotta feel bad for some people who just don’t get it. I can’t blame them, they have obviously been cursed with some kind of learning disability or a simple inability to grasp any shred of common sense. The original Oreos are the top dog, and nothing is going to change that, especially some red velvet flavoring. Don’t get me wrong, Red Velvet cake is one of the best out there. Not only does the taste excite me, but the mix of the white with the dark red really gets me going. I love Red Velvet cake. 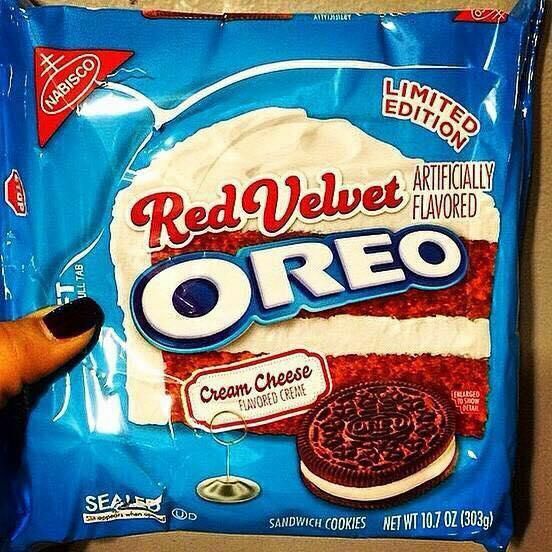 But Red Velvet Oreos? Come on now. Where does it end? I get that people are excited, but have you all forgotten how delightful regular Oreos are? We don’t want another Birthday Cake Oreos-like incident on our hands, and we all know how that went. And for those who don’t Birthday Cake Oreos are absolutely repulsive. I was pumped to give them a try. Long story short, I almost wrote a letter to Nabisco, a strongly worded one at that. They’re awful. But the Oreo brand doesn’t mess around. The originals are the best. Golden Oreos are second on the list. I’ll put Uh-Oh Oreos and Double Stuff tied at third because their ranks don’t matter considering that if I have a chance to buy those I’ll go for one of the two superiors instead. I’m sure these Red Velvets are gonna be bomb, but don’t fix what’s not broken. They’re trying to reinvent the wheel. PS – Genius marketing ploy to get these on shelves right in time for Valentine’s Day. Study the markets, find the depressed singles/fatties, exploit their loneliness, fuel said loneliness with cookies.